I like turtles! That’s no surprise to most of the members here, but few probably know the extent to which turtles were involved in the lives of myself and my family. Turtles were pretty much always a huge part of my childhood as far back as I can remember, and at one point we owned something like 30 of them at once! Some of the turtles that we owned were probably not quite legal, as we often got hand-me-downs from friends of the family who found a turtle in the wild, took it home to keep as a pet, realized they had no idea what they were doing, and passed it on to the only people in their circle that might know what to do with wild turtles, my turtle-loving family. So yeah, between the ones we bought and the ones that were given to us, we ended up with a lot of turtles. I can tell you many stories about growing up with turtles as well. Ah, the memories! Our turtle races were a thing of legend. Our summer outdoor turtle habitats were probably great fun for our turtles, even if one of our turtles did escape only to be found with a chewed up shell months later by a neighbor of ours and returned… just to escape again. And our turtle carnivals were um, well, probably not as appreciated by the turtles themselves as they were by us. We were kids, we made a few questionable decisions. But we generally took good care of our turtles. To the second part, I say thanks. Before we get to it, I have a single rule for this list: only one entry per franchise. Now let’s roll. Welcome to the top 10 turtles in a Nintendo game! A picture of some turtles I took once. Because turtles are awesome. One of the stranger entries on my list, the Igloo Turtle is more igloo than turtle, but it still fits the bill. It’s also one of the most sinister turtles on this list, as it feigns to be protection to weary travelers just to capture them inside and let them freeze to death. Not cool, Igloo Turtle. Not cool. Or is it a bit too cool maybe? GET IT? Eh. I dunno, doesn’t look particularly inviting in there to me. The unnamed (as far as I could discover) turtle boss in Sin & Punishment: Star Successor makes my list for a variety of reasons, including the fact that Sin & Punishment: Star Successor is a criminally underplayed, amazing game that everyone should know about, and the fact that the boss is ridiculously huge and one of the most powerful turtles in any game I have played, which makes for a quite intense battle. But it also makes me feel bad because I hate killing turtles. Go out and buy Sin & Punishment: Star Successor now. Seriously! Do it! I’ll be honest, I haven’t actually played Mother 3 *crosses fingers for Western release announcement soon* but I have played Mother 1 and 2 (aka Earthbound Beginnings and Earthbound) and love the series, so finding out about a half turtle half robot in the third game makes me anticipate its (probable) upcoming release in the West that much more. I mean, just look at that thing! It’s one half turtle, one half robot! How is that not awesome?! Hey Nintendo, are you listening? Bring this game to the West! It’s very possible to play through Super Metroid without ever running into Tatori, as she resides in a non-required section of Maridia that holds an energy tank and a missile upgrade. Generally not an aggressive species, Tatori is peacefully resting with her young when you intrude upon her lair, and she will wake up and attack you to protect them. You see, Super Metroid isn’t just about fighting evil aliens, but about observing and respecting the ecosystem on the planet as well! These kind of small details are what made Super Metroid such an amazing experience for me. With that said, it’s very likely that Tatori and all of her children died in the ensuing planetary explosion that was at least in some part a result of your actions. Meanie. Got to add a creature from one of my favorite games ever. Yes! When I think big, bold turtle bosses Contra III: The Alien Wars is one of the first that comes to mind. Sure Sin & Punishment: Star Successor took the idea a step further, but this is one of the true originators. And it happens so fast, right in the very first stage. 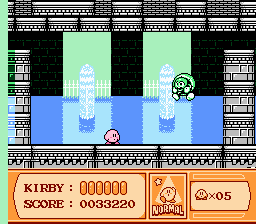 Just when you thought you were at the end of the stage, an alien turtle nearly as tall as the screen itself busts out through the side of a building and starts attacking. This was back on the Super Nintendo when huge bosses were not necessarily the norm. It really left an impact on me. At what point does a weird alien creature no longer qualify as a turtle? Whatever. Whew, so far we have had a ton of “bad” (or in one case generally neutral but still willing to attack you) turtles in a row, time for a friendly one! In most Animal Crossing games, Tortimer is the mayor of the town, except for New Leaf where Tortimer has retired and YOU become the mayor. While he is generally a happy enough guy, if you talk to him you can learn about his backstory, which includes a wife he once had whom, as far as we can gather, tragically died and left Tortimer a widower. Great, now I am depressing myself. Talk to the villagers and you will hear all kinds of rumours about him, both good and bad. Who really knows what lurks in the heart of Tortimer?! I can’t say for sure, but he’s been kind enough to me, so I won’t believe the mean things some of those animals say about him. He’s no Iggy though. Iggy is the best. While plenty of video games have turtles in them, few offer you the ability to play as a turtle. Enter the Teenage Mutant Ninja Turtles games, which allowed (depending on the game) not only you but many of your friends as well to take on the roles of the eponymous turtles and fight the evil Shredder and his gang of villains. 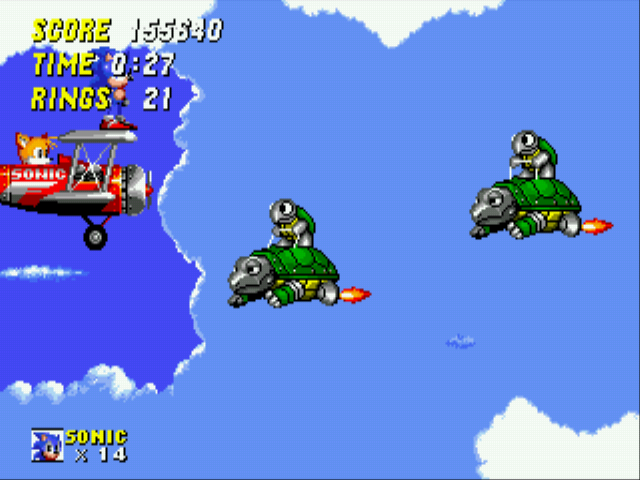 While most consider Super Nintendo’s Turtles IV “Turtles in Time” to be the best Turtles game, my personal favorite has always been Turtles II “The Arcade Game” on the NES. Either way you can’t go wrong! Unless you play the first Turtles game on the NES. That game is hot garbage. A Turtles game that is certainly not hot garbage. Turtle power! One of the first Pokémon and still one of the best, Squirtle is one part turtle, one part squirrel (another of my favorite animals! ), and all parts water-powered awesomeness. I should admit that I don’t actually play the Pokémon games (I tried with Platinum, got about 10 hours in and the massive amount of random battles turned me off), so there are probably many other Pokémon turtles that could be considered for this spot, but whatever. Squirtle rules, the rest all drool. Seriously though why does everyone think Pikachu is so great? Sticking with my one entry per series rule was tough here, as The Legend of Zelda: Link to the Past’s Trinexx is a clear contender for the list as well. But I had to go with Majora’s Mask’s Giant Turtle, because he looks cool, is huge, and is some kind of ancient and mystical turtle who, while sleeping, can be easily mistaken for an island, which is pretty awesome. He may play a small role in Majora’s Mask, but it is an invaluable one. No man is an island. But some turtles are! Perhaps the earliest memory I have of a turtle in a video game is the Koopa Troopa from the original Super Mario Bros., and Nintendo designed it right, creating not just another enemy to stomp on, but one that you could use strategically by knocking its shell off and using it to attack other enemies. This kind of brilliant design is what helped propel Super Mario Bros. to classic status. Of course, there were other variations of the Koopa Troopa in Super Mario Bros., including the Paratroopas, Spineys and Hammer Bros., and the concept was expanded upon in future games to give us Dry Bones, Spikes, Boom Booms, Chargin’ Chucks, Magikoopas, Super Koopas, Rocky Wrenches, and many more! Furthermore one of my favorite characters in the Mario games, Koops from Paper Mario: The Thousand Year Door, is a Koopa Troopa. Few games have done as much with the turtle as the Super Mario series has. After all of these years, still one of the best baddies! Well that’s it then. I’d love to see my list expand more, but I guess I will just have to wait and see how turtles are used in games in the future. 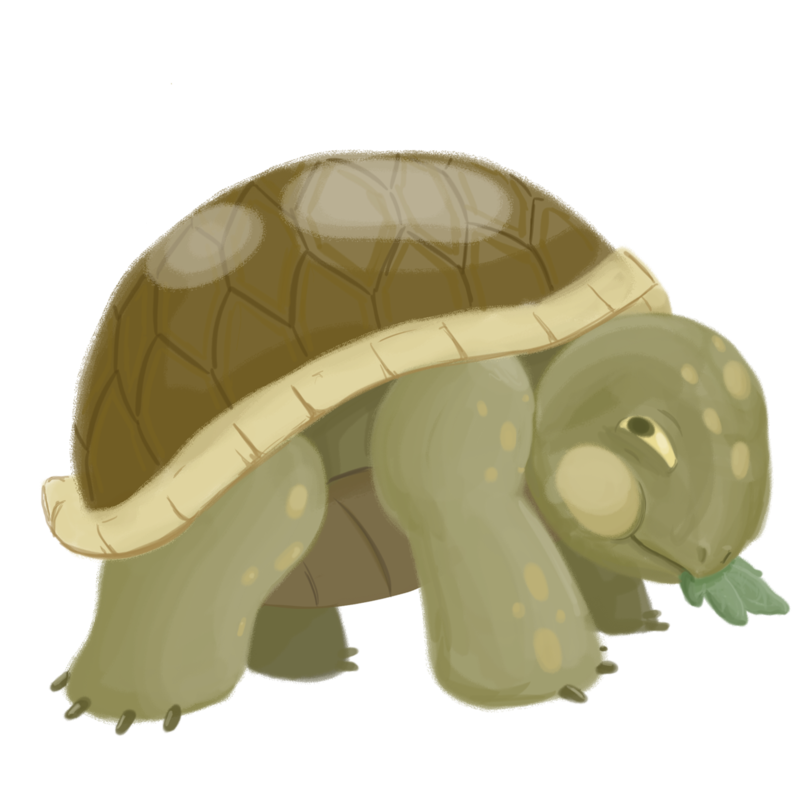 Or maybe add some turtles to a few of my own games? Also check out my top 10 frogs in a Nintendo game! HoH was correct, the lack of Tanktup/Tiptup/Tiptup Choir is criminal. A giant turtle, that contains another smaller turtle, conducting baby turtles. It's like a matryoshka turtle. Shuffles around back and forth before launching surprisingly quick attacks. Provides the neat-but-not-that-useful Throw ability. Never played whatever game these are in, but obviously the best Pokemon trio since Squirtle / Wartortle / Blastoise. Yup. Using Torterra's Earthquake on pesky Fire types is way awesome. #2 looks dead. He's the 2nd best videogame turtle of all time?? He..doesn't even have a real name..
Nice turtles! Pleasantly surprised to see that Mother 3 foe show up. Another one coming soon--Walt from Tadpole Treble! @Mr_Mustache I THOUGHT WE ALREADY ESTABLISHED THAT HE IS SLEEPING. Actually it could be a she. Hmm. I need to watch my assumptions. Couldn't find any bigger pictures of the woke turtle. @Mr_Mustache You don't even know how many times my kindergarteners have watched that video. I think it is their favorite thing in the world. Frogs/toads and turtles are the greatest creatures on Earth. Today I had the good fortune of seeing a live Marine Toad and Spotted Turtle at a sustainability event on campus. It's been a great day. Oh man I instantly got a bunch of ideas for frogs / toads (not including Toad who isn't actually a toad) maybe I should do that one next? I'm sort of cracking myself up thinking of doing a whole series of these. Like just a year straight of new top 10 animal lists and nothing else. Clearly this is what the market demands. I bet that would be a surprisingly fertile territory. For instance, I tried to think of an obscure animal and came up with armidillo. 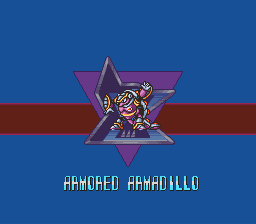 Off the top of my head I can name 3 cool armadillos in gaming! (Dillon, Mighty, and Armillo). I also know there are Armadillos in Bubsy, but, I don't know if they're "cool." Comes in hoping to see the Teenage Mutant Ninja Turtles, Squirtle, and the Koopas. Leaves satisfied. Two more: Army from Donkey Kong Country, and Army Dillo from DK64. @GameDadGrant Yeah that is the first one I thought of. The X games alone would provide a ton of options. They even had a turtle but it was in an X game not on a Nintendo platform so it didn't fit the rules of my list and also I never played X6 and have no connection to it. X6 is really awful. Really awful! Do not play. I didn't even really get into X4 much and people say that is the last good X game. Never played any after X4. Egad, you like X4 the best?